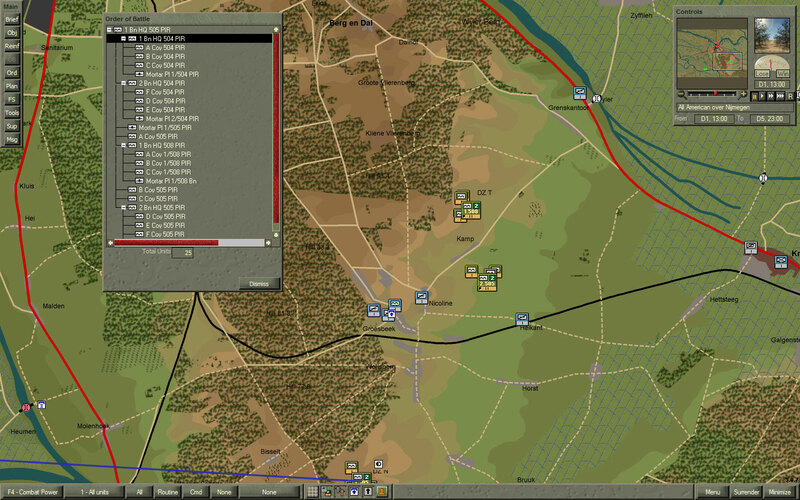 Command Ops 2 (Panther Games) has just been released by Lock N' Load Games. The delivery format is entirely digital and the DRM is non-intrusive (based in serial numbers). The offerings menu is a bit convoluted for my taste: one free, base engine and add-on modules which cost between $30 to $35. It looks like Panther Games is going the same route as Eagle Dynamics in terms of content/modules. In terms of content, one can only hope the Panther can soar as high as the Eagle in terms of productivity. Tongue in cheek ... But check out the next paragraph. I got the so-called "Commander Pack 1" for $50, which includes all the modules available so far. 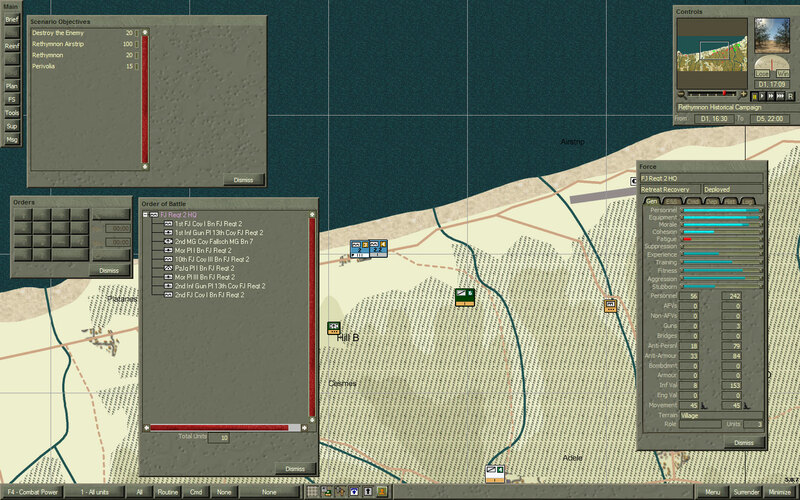 Although from a previous version of the Command Ops engine I already own most of the scenarios (or similar versions of them) in the Command Ops 2 module packs, there are some nice new content in one of the module packs (The Cauldron): North Africa scenarios on Battleaxe, Brevity and Crusader in North Africa. The lack of enough totally new content may put off some of you. Just make sure that you check the new engine (free download) to see if it is worth your money. For me, it was a no-brainer. But I am a big fan of this game system. Right click and open in a new window for a better view. 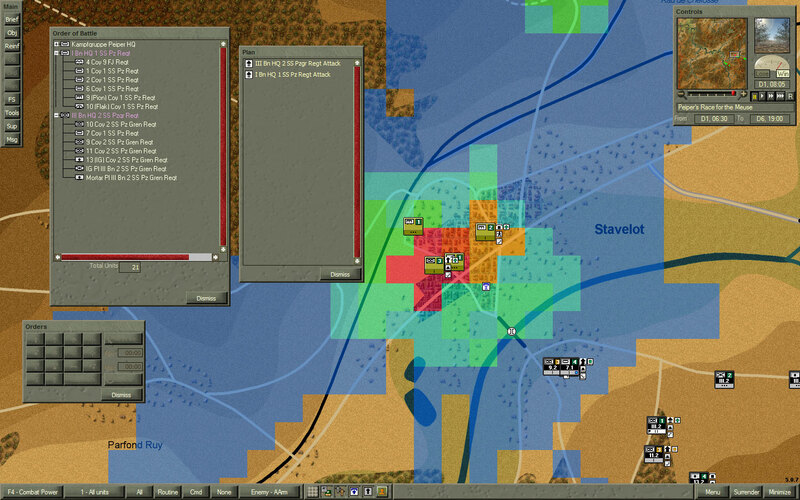 Command Ops 2 now features floating windows which you can place wherever you want. 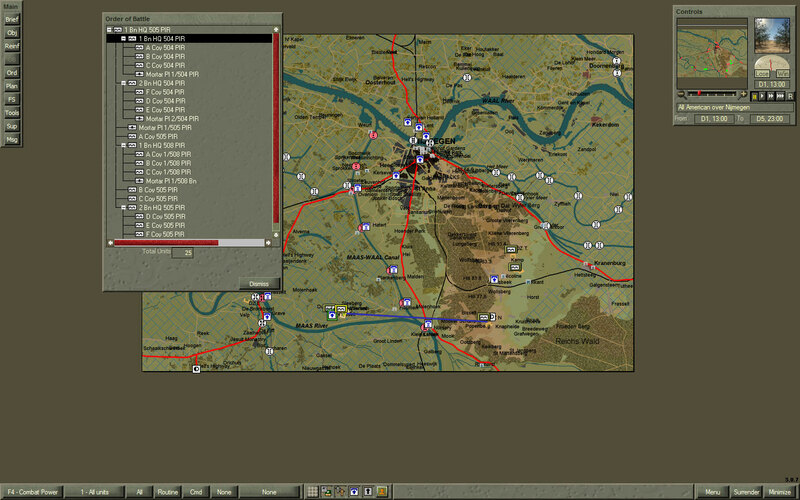 If you have multiple monitors, these windows can be moved away from the map for a cleaner and tidier command post. The order of battle now allows you to assemble battle groups with just a simple click. Right click and open in a new window for a better view. Another new feature: map overlays. This one shows terrain control. Overlays only work when the game is paused. Right click and open in a new window for a better view. Another overlay type: enemy anti-armor firepower. 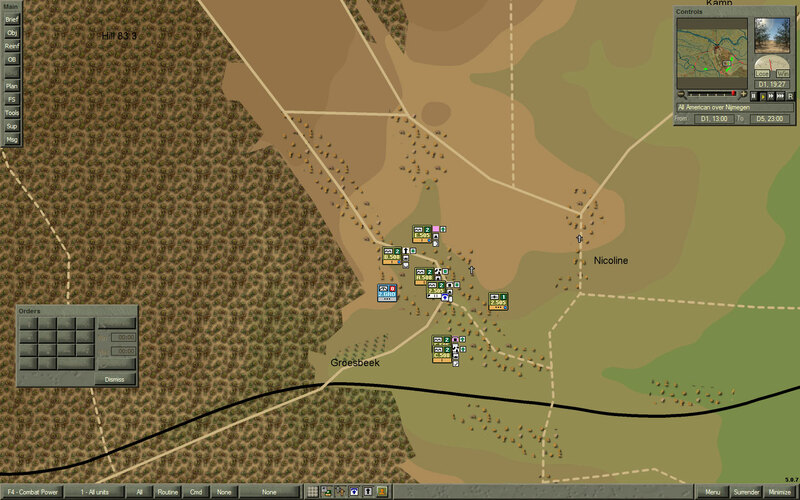 It looks like these Pz and PzG will need some serious arty support to make it through Stavelot. Right click and open in a new window for a better view. 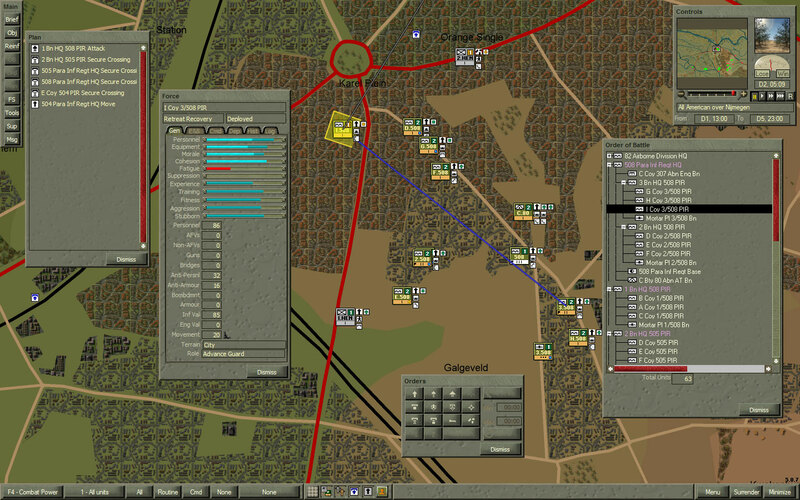 Zoomed in, the counters show all units' posture, mission, orientation and morale status. This is very useful. If you remember the previous engine, it used filters which needed a lot of clicking to get the information. At mid-zoom levels, some counters loose their units' IDs and have smaller counters. This is for low level subordinates (companies and below), note how battalions still have the units' IDs on the counter. Quite a streamlined approach, with a very smart implementation. At a high level zoom, some subordinates (companies) are not represented by counters anymore. Ideal for the "big picture" grasp of the situation. The game is solid and playing it is a pleasure. Panther Games is one of those companies that make things you come back to and learn something new every single time. As with any software of this complexity, I noticed some oddities like the game slowing down when a HQ unit is selected and I could not get the messages window to work properly. I'm confident that these issues will be fixed soon. So far it looks like a minor interface update. I've bough CO and all the modules from Matrix games and I do not feel like paying twice for the same thing. Is there any game changing features in the new version? No, there are almost no game changing features - only the interface has changed (some options added, movable windows etc.). And dare I say, the new interface is not very good - if you've got a single monitor, all these windows clutter the game area very quickly. The base game is free try it before you buy it. I tried the Base Game, and no thanks i don't buy the Game a third Time. And Yes the new UI is rubbish. Cheers. The new UI is different, far from rubbish, but to each their own. I like it as I can design it how I wish. If a window gets in the way, I can close it. What I need stays open. 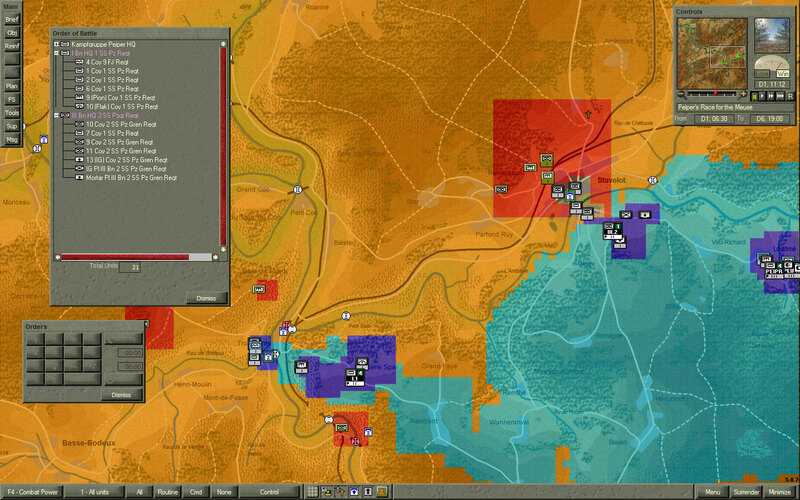 I didn't have all of the modules from Matrix so it was a wash for me to add the Greek and Med/North African campaigns. Looking forward to seeing how the game continues to develop and improve. My installer for the free Core game won't open any help would be appreciated.